Movie: Check It Out, Yo! Toru, Yui, Akira, and Tetsuo are senior high school students in Okinawa, Japan's southernmost prefecture. A sprawling blue sky and crystal sea are common sights in this prefecture known for its breathtaking scenery. The four have nothing to be passionate about, just spending days complaining about their boring school life. One day at an aquarium, Toru meets a hot lady, Nagisa, and gets infatuated on the spot. The guys go out to see a concert of Workaholic, an up-and-coming hip-hop band that's taking the prefecture by storm. At the concert, one of the band members, Ryota, shows a great MC, livening up and hyping the crowd with flowing rhymes and flashy performance. Toru sees Nagisa again there, but it's not a chance encounter Toru hoped for. He has no idea at this point that she is Ryota's girlfriend. 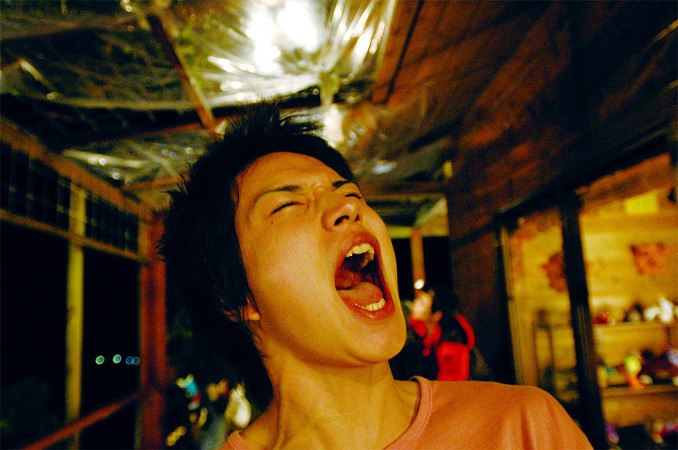 Toru and his buddies wake up to the thrill of rap music, and start their own band. 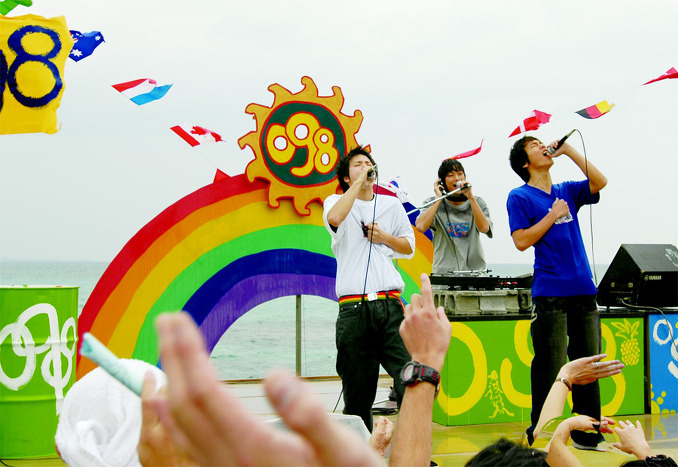 They name the band "098," the area phone code for Okinawa Prefecture. Things take an unexpected turn, and the band gets a chance to perform an opening act in Workaholic's concert. What's more for Toru, he is picked to do the MC. But can they really pull it off? They are no good at instruments, let alone performing rap music. They secretly borrow instruments from the school. They even try Japan's traditional instrument shamisen to hone their music skills. The boys find their savior in the husband of Yui's elder sister. This mysterious man, called Andy, is a native English speaker. He teaches the guys how to ride on the grooving beat of rap music. Even though they try their best in preparing for the show, their performance on the day ends up a complete flop. Some time later, Toru hears about Nagisa and Ryota going out together. But Nagisa snaps, "we are over now... I will return to Tokyo." Yui is holding tender feelings toward Toru. Knowing he has a crush on Nagisa, Yui's smile dims with the tinge of uneasiness. Tetsuo says he is thinking about going to a university in Tokyo. The friendship that has been binding them tight together shows signs of fraying. That's when the boys decided to hit the stage just one more time, for Nagisa and... for themselves. Can they put up a big and cool stage this time around? How does the romance between Toru and Yui turn out in the end? AikoMei Mar 13 2011 7:07 am hey does anyone know where to watch this for free???? brian Mar 06 2010 1:07 am "Also stars Konishiki, Hawaiian born sumo wrestler, Jeez, I forgot his real name, I used to live in Hawaii before I moved to Okinawa and used to hear about him all the time, ahhh... oh well, maybe I'll google it later. (I'll probably just remember later on when I least expect it, usually works that way, right?)" Ahhhhhh, his name is "Sale", (Sah leh) as soon as I posted the last comment I remembered...DOH!!! He had a Rap album in Hawaii. He also owns a resturant in Tokyo, I think. brian Mar 06 2010 1:01 am Ayumi Ito "Nagisa" is so my type. Maybe not the hottest girl in Japanese media but sooo my type, that I have to plug anythng she's in. See her also in ep.7? of "Dr.Koto" she plays an pregnant unwed mother. This movie came out the same year I came to Okinawa, so it was kind of cool to see a movie set in Okinawa while being here. Of course when I first came to Okinawa I didn't understand Japanese so I was basically just guessing what was going on the whole time I watched this movie. 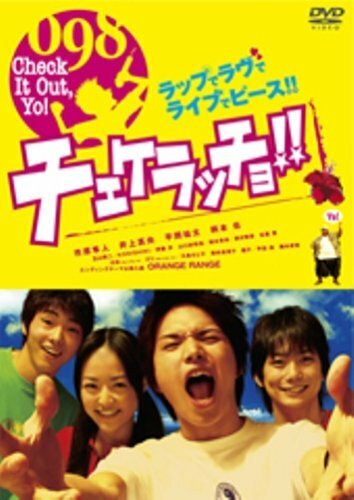 (I actually came to Okinawa to study Japanese) Now my Japanese is much better and I have since watched this movie many times since then and I still enjoy it every time. Basically just a fun movie, not really great but enjoyable. Anybody still reading this comment? HaHa! 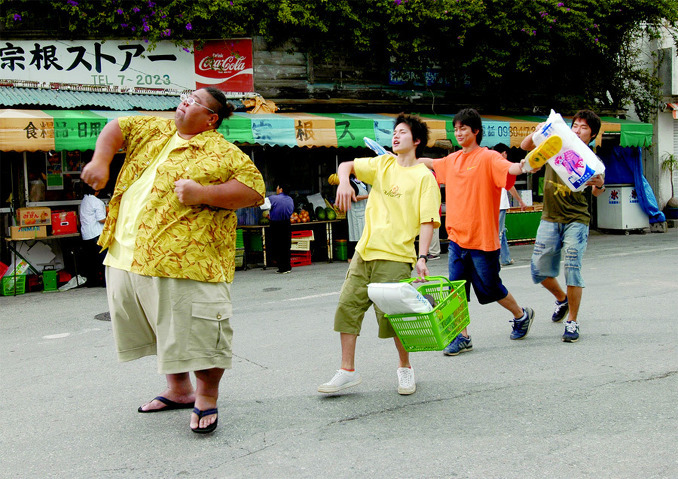 OK, last thing, the teacher in the clip is a comedian from Okinawa, the name of his group is "Garage Sale". maybe.